Objectives The objectives of this study were (i) to examine work scheduling in construction and (ii) to establish whether there is any connection between workhours and safety outcomes among construction workers. Methods The National Longitudinal Survey of Youth, 1979 cohort (NLSY79), was used for the data analysis. Odds ratios were used to measure the risk of work-related injury in different worker groups. Results The findings showed that (i) construction workers started work earlier, worked longer days and fewer weeks a year, and were more likely to hold multiple jobs and change jobs than their nonconstruction counterparts and (ii) long workhours and irregular work schedules were significantly associated with a higher work-related injury rate after control for possible confounders.  Conclusion The results provide evidence that overtime and irregular work scheduling have an adverse effect on worker safety.